MOSCOW, December 26 (Sputnik) — Russian Parliament lawmakers from the Communist Party Valery Rashkin and Sergei Obukhov call for the country's Ministry of Health to take part in the World Health Organization (WHO) humanitarian medical aid supplies to Ukraine. In the document, obtained by RIA Novosti, the lawmakers address Russia's Health Minister Veronika Skvortsova saying that the "funding of 18 programs for purchase of medicines and medical equipment was terminated in Ukraine in 2014." The lawmakers also said, citing the media reports, that Ukrainian government also was for the first time late with holding tenders for essential medication for seriously ill and terminally ill people." "We urge to examine the issue of Russia's participation the World Health Organization's supply of the humanitarian medical aid to Ukrainian citizens not involved in the punitive operations against the residents of Donetsk and Luhansk republics," the appeal to Skvortsova reads. 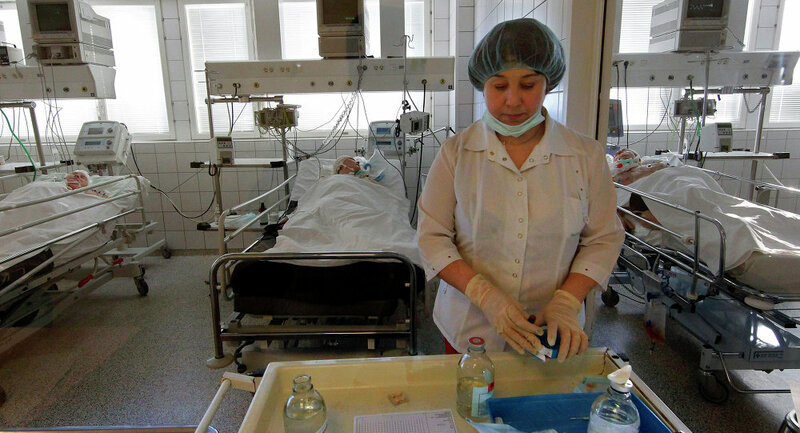 The authors of the appeal acknowledge that that certain problems in Russian healthcare system also require attention, but stress that the situation in Ukraine is "catastrophic." WHO and other international organizations deliver medical supplies to Ukraine, but so far the basic needs of the population in medicines, insulin and vaccines are not satisfied, according to the lawmakers.